The Habitat Conservation Trust Foundation has made a substantial new commitment to white sturgeon in BC, which will see the foundation provide an additional $250,000 over the next 5 years towards projects that contribute to the conservation of sturgeon and associated habitat. Starting in 2008, the Province of British Columbia introduced new conservation surcharges on licences to fish for sturgeon on the middle and lower Fraser River. The surcharge funds are directed to a dedicated account overseen by the Habitat Conservation Trust Foundation, to be reinvested in important work to sustain these sensitive populations. The amount of revenue generated annually depends on the number of sturgeon licenses sold. Over the past 8 years, the average annual revenue from sturgeon surcharges was $250,000. In 2017/18, it was approximately $325,000. In October 2018, the HCTF board decided to provide an additional $250,000 for sturgeon projects, over and above the annual amount generated through sturgeon angling surcharges. This means that HCTF will provide an additional $50,000 annually in new funding for sturgeon conservation projects for each of the next 5 years, starting in 2019. 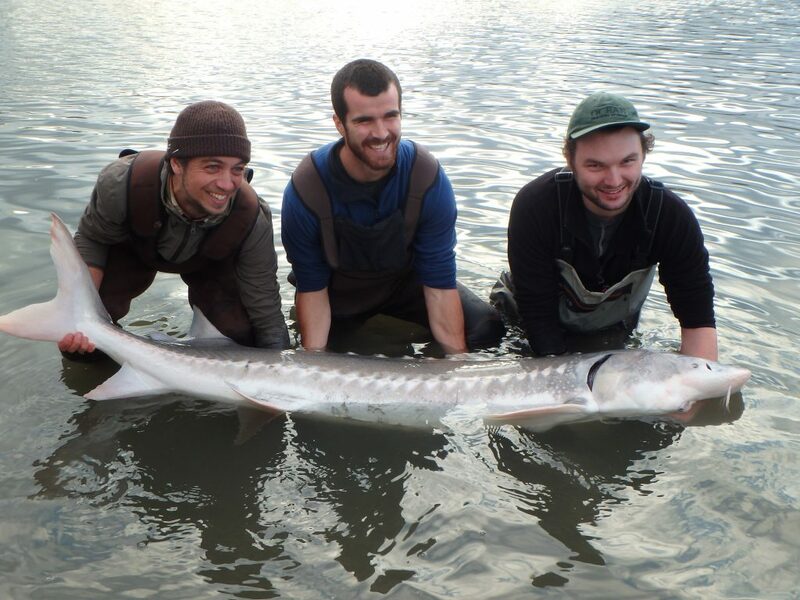 Over the years, HCTF has funded a variety of sturgeon conservation projects in BC. Recent examples include long-term acoustic tracking of adult sturgeon and a collaborative project focused on removal of ghost nets.